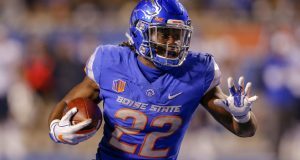 While scouting rookies for my upcoming drafts I came across an RB who has not received nearly enough attention from the dynasty community. It is not very often that a productive RB from the University of Miami is overlooked in the NFL draft process. However, that is precisely the case with Travis Homer. The former team captain enjoyed back to back quality seasons before declaring early for the 2019 NFL draft. Let us take a look at the former Hurricane. Homer came to Miami with a four-star recruit rating by ESPN. He chose to attend the U over other college football powers such as Florida, Florida State, Auburn, and Alabama. This talented player immediately worked his way onto the field as a special team’s ace. Opportunity knocked in 2017 following the season ending ankle injury to starting RB Mark Walton. Homer immediately took the reins of the offense and never looked back compiling over 1,200 all-purpose yards to go along with 9 TDs. Homer returned for his Junior year at Miami as the unquestioned lead RB. The team captain again put up respectable numbers to the tune of over 1,100 scrimmage yards and 4 TDs. Following his junior season Homer decided to forgo his senior year and enter the NFL draft. You can see from his numbers below that despite never rushing for over 1,000 yards in any single season he was extremely effective with his limited touches averaging a robust 6.0 ypc. Following his announcement to leave school early Travis Homer received an invite to the 2019 NFL combine in Indianapolis. While performing at the event Homer showcased some of the unique talents that propelled him to passing Frank Gore on the University of Miami’s career rushing list. In particular his 40 yard dash, vertical, and broad jump were impressive. You can see from his spider chart below that the 5’10” 200 lb. former Hurricane has the raw skills to compete at the next level. While Homer certainly has some tantalizing skills to offer his next team, he also has some work to do on his craft. His biggest issue from a playing standpoint I saw on film was a slight penchant for fumbling. His willingness to put his head down and take on contact directly may have led to some of these drops. No matter the reason for the problem it is an issue that will not be overlooked by his next coaching staff. His upright running style, somewhat reminiscent of a Matt Forte or Demarco Murray, can also lead to taking big hits at the next level. His next coaches will however appreciate his capabilities as a pass-blocker where he is a more than willing contributor as well as an efficient outlet out of the backfield making use of his large 10’ hands. Despite his limited number of touches at the University of Miami it is quite hard not to like Travis Homer’s tape. Below is a cut up of his 2018 highlights. You can see from his highlights that Travis Homer can certainly play a role at the next level. He has the speed, pass blocking, and receiving ability to contribute in a number of different phases. Depending on where he is drafted his early ticket to playing time will likely be special teams. However, if placed in the right situation and just a few things bounce his way there is nothing from his film or combine that suggests he cannot succeed if given a larger role. Ideally, he could fill one half of a committee. We have seen backs with his type of testing come in and play well in the past. 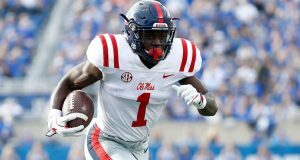 Alvin Kamara for one tested similarly at the combine and also had somewhat lesser numbers in college. Now please do not take the previous sentence the wrong way, I am not saying Travis Homer is Alvin Kamara 2.0. But, he can certainly provide a spark to his eventual NFL team. 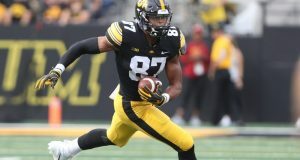 I would expect Homer to be a mid to late round selection in this month’s draft. Situation will dictate a whole lot for this player. He is not on many dynasty owners radars at the moment. We all have late round picks in our dynasty drafts. Often time’s player’s will poo-poo 3rd, 4th, and 5th round rookie picks. Players like Travis Homer can turn those picks into solid gold if and when they hit. 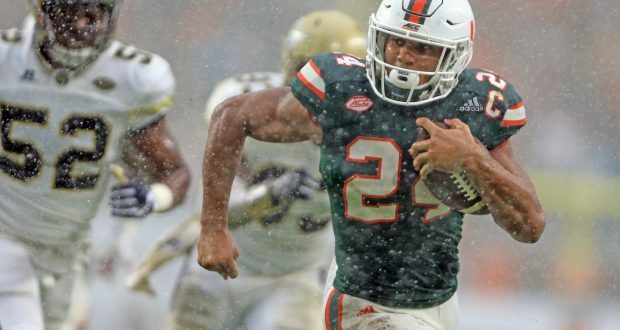 I invite all of you to take a look at his sophomore and junior film and ask yourself if you have space on your rosters for a player like Travis Homer.